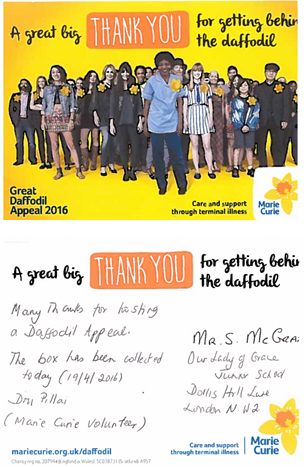 Our school supports different charitable causes throughout the year and at different times. Our Advent appeal was 'Give Gold' which aims to raise money for Cafod. On 14th December the children were allowed to wear their own clothes in return for bringing in a gold coin.